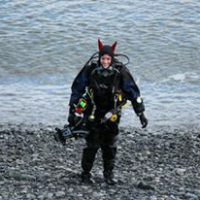 Two years ago, in this article, we picked out dive gear for women who wanted something a bit more feminine. And by feminine, we don’t mean pink; we mean equipment that’s considerate of the female shape, from narrower masks and fins, to tailored BCDs and wetsuits. Aqua Lung Linea — for divers with longer hair, this mask promises to prevent painful snags thanks to its anti-tangle Comfort Buckle System. Atomic Aquatics Frameless — the frameless design offers a wide-angle view while maintaining a super low profile, and its Medium Fit variant uses a skirt that especially suits narrower faces. 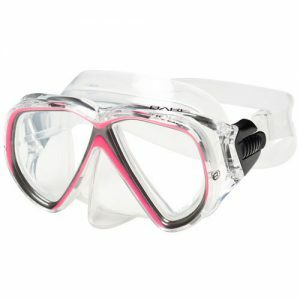 BARE Duo Compact — with a double-flanged skirt and low profile, BARE have designed this twin-lens mask especially for ladies and children. 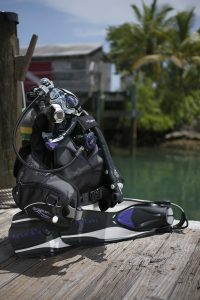 TUSA Kleio II — a round-edge skirt and quick adjust buckle system provide a balance of comfort and functionality to divers with small or medium-sized faces. Aqua Lung Soul i3 — thanks to its Wrapture Harness System, this BCD fits snugly on the female form and won’t ride up past the shoulders on the surface. Cressi Travelight Lady — this foldable jacket is not only designed for women, but is lightweight, flexible, and hydrodynamic, making it a great option for travelling. Northern Diver Eve — extra padding gives this BCD maximum comfort, along with a Moulded Protection Plate, and sliders to adjust the chest strap vertically. Scubapro Ladyhawk — back flotation technology meets an adjustable, ergonomically designed harness to bring female divers complete freedom of movement and comfort. 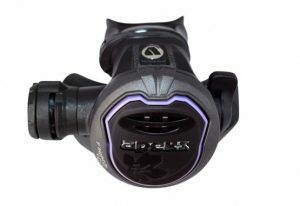 Aqua Lung Mikron — the black/pink version of this lightweight, high-performance regulator is perfect for petite divers, with a smaller Comfobite™ mouthpiece and detachable silicon bridge. Apeks Flight — cited as the lightest regulator in the world, it uses advanced composite materials for the best strength-to-weight ratio, and a yoke clamp handwheel to prevent snagging. BARE 5mm Evoke Full Wetsuit — with an all-female design team behind its creation and Ultrawarmth Celliant® Infrared Technology, this claims to be the warmest-ever women’s wetsuit. 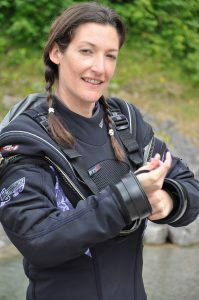 Aqua Lung Fusion Fit Drysuit — specifically designed and cut for the female shape, this drysuit is made from Super Stretch neoprene for optimum movement and comfort. Fourth Element Argonaut 2.0 Drysuit — with the award-winning BIOMAP® system and improved women’s pattern, this lightweight drysuit promises durability, mobility, and a bespoke fit. Cressi Playa Lady Shortie Wetsuit — when these tips for putting on a wetsuit aren’t enough, this 2.5mm shortie, tailored for female curves and featuring a front zipper, makes the job a little easier. 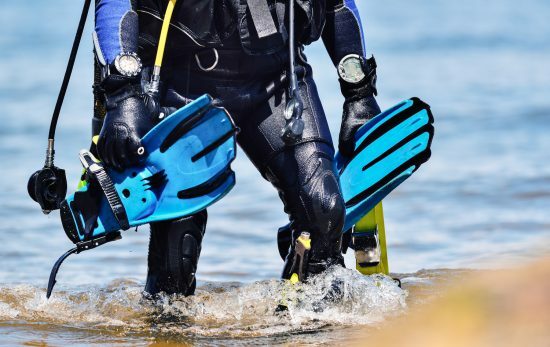 Following on from our first article, Aqua Lung’s Shot FX fins and Ellie boot, and Scubapro’s Seawing Nova fins remain firm favourites for female divers’ feet. Aqua Lung Ava Glove — the longer and narrower construction of the fingers and palms are especially designed for feminine hands. 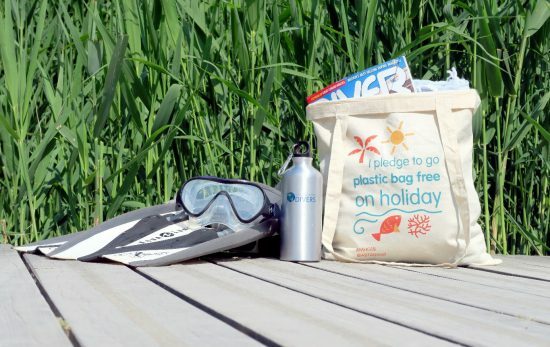 Shewee Extreme — many women swear by this discreet accessory that makes things a little easier when nature calls, especially when paired with a drysuit and convenience zip. 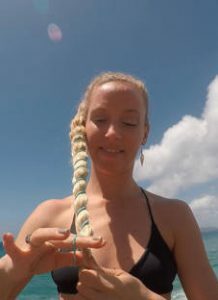 Mermaid Hair Tie — when hair keeps getting in the way of masks, hoses, and straps, this clever accessory will help keep flyaways at bay while preventing damage caused by traditional ties. 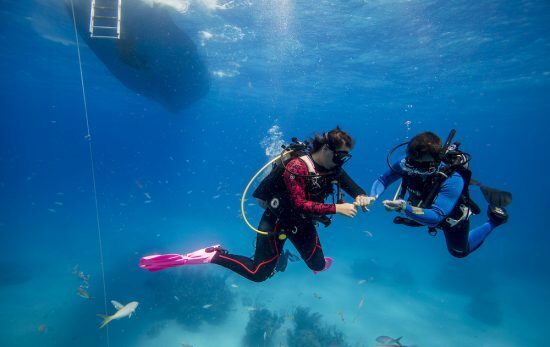 Of course, some women find that unisex or men’s sizes fit better, so it’s worth visiting a PADI Dive Shop to try on and compare options before buying. 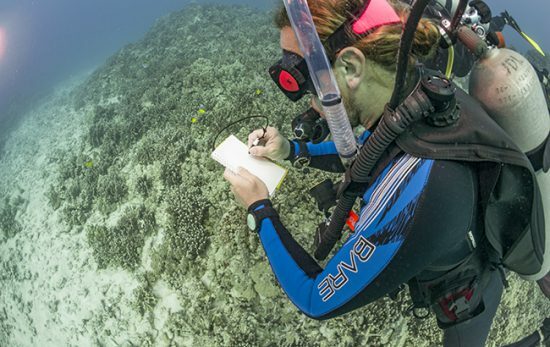 And don’t forget to sign up for PADI Women’s Dive Day!